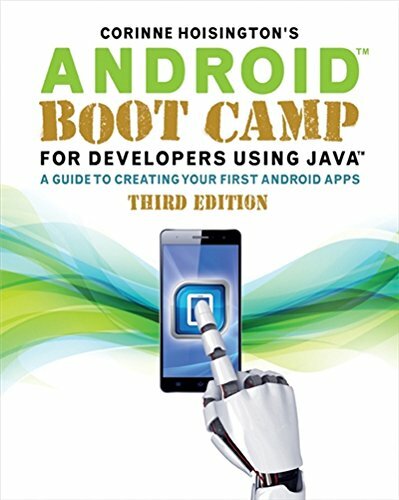 Gain a strong foundation in Java programming with the confidence and technical skills to build working mobile applications when you use ANDROID BOOT CAMP FOR DEVELOPERS USING JAVA: A GUIDE TO CREATING YOUR FIRST ANDROID APPS, 3E. Written by an award-winning technology author, this book provides a thorough introduction to Java with an emphasis on creating effective mobile applications. This book is ideal whether you have some programming experience or are brand new to Java and the Android Studio. The book's hands-on tutorial approach offers step-by-step instruction and numerous screen shots to guide you through tasks. Practical callouts, industry tips, and a variety of cases and assignments reinforce your understanding of programming logic and Java tools for Android. Instruction is relevant for today and focused on programming principles for the future. Become a competitive programmer equipped to meet the growing demand for mobile apps with this engaging text. If you have any questions about this product by Course Technology Ptr, contact us by completing and submitting the form below. If you are looking for a specif part number, please include it with your message.